Updated Nov. 15, 2017, 11:00 am ET: Perhaps this week’s cherry blossom-explosion baby shower was a heteronormative hint after all, because Kim Kardashian West just confirmed she’s having a baby girl. In her appearance on The Ellen DeGeneres Show Wednesday, Kardashian West casually dropped the news to DeGeneres while explaining how North and Saint are dealing with the anticipated arrival of their little sibling. Apparently, during said flower-filled shower, North started angling for the new kiddo’s gifts. Kardashian West told DeGeneres that North suggested she keep the gifts — you know, just until the baby arrives: “Mom, since baby sister’s not here, I think I need all her toys in my room and I’ll play with them and make sure they’re all OK for baby sister,” North said according to Kardashian West. “Oh, I did,” laughed Kardashian West. She seemed to be cool with the spillage, though, and moved the conversation right on to North’s excitement about her own soon-to-be mini-me. No news on the little gal’s name, yet; Kardashian West seemed less-than-psyched about DeGeneres’ suggestions of “Lip-Kit West,” “Pop West” and “West West” — despite the fact that DeGeneres basically named Saint. Don’t believe her? Watch the whole video below. Will the Kardashian clan ever get tired of fabulous baby showers? Nah, we doubt it. Kim Kardashian West just threw a gorgeous Japanese-inspired cherry blossom and tea-themed (just go with it; they’re the Kardashians) baby shower for her soon-to-be third child with Kanye West. The baby is due via surrogate in early 2018, and Kardashian West confirmed the news back in September. The shower’s glam attendees included: Kardashian West’s pregnant sisters, Khloé Kardashian and Kylie Jenner; nonpregnant sis Kendall Jenner; daughter North West; Mama bear Kris Jenner; and close family friends Jen Atkin and Chrissy Teigen (who brought a homemade cake, because of course). “It’s a hit. It’s a hit,” Atkin crowed in a Snapchat video of Kris Jenner slicing the cake with Teigen standing by. “I’m going in!” Kris joked as she cut the confection. Kardashian West documented the lovely shower setting on Snapchat, saying in videos, “OK, guys, [this is] my baby shower for Baby No. 3… It is a beautiful tea and cherry blossom forest.” And it really did feel like a forest of blossoms — complete with rose-colored backlit cherry trees that were something out of a Disney movie. No diaper cakes for this crew. There was also a very happy North seen frolicking about looking quite charming in a sweet floral satin kimono. “Look at this cute little dress Northie’s wearing,” Kardashian West said in her Snapchats of the day. But it would not be a true Kardash-event without some product placement, right? 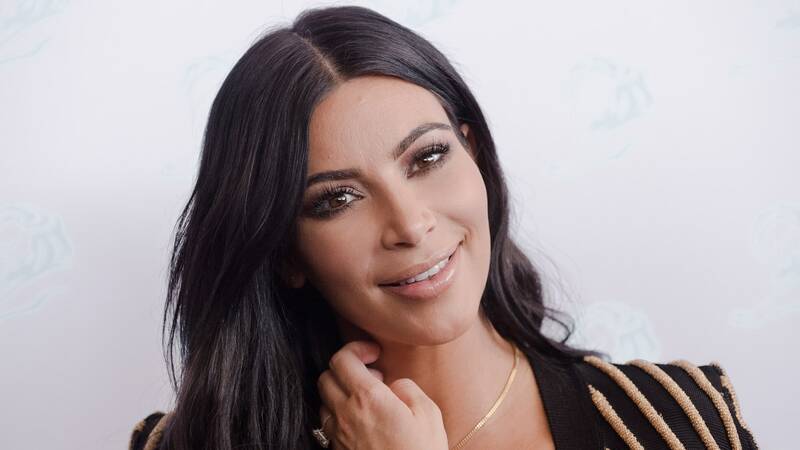 Kardashian West could not resist debuting her brand-new fragrance collection for her line KKW Beauty — in the form of gift boxes for the guests. She presented all three of her new fragrances at the shower: Crystal Gardenia, Crystal Gardenia Oud and Crystal Gardenia Citrus. The scents will be available on Wednesday (nice timing, Kim!). Kardashian West even posted a video of pal Teigen sampling one of the fragrances. “Look at Chrissy spraying it… it’s not face mist,” Kardashian West jokingly scolded Teigen. Two parting questions: 1) How will Khloé Kardashian and Kylie Jenner possibly top this affair? 2) Was Kardashian West and Kanye West’s surrogate at the party? We kind of hope the brave woman was invited to partake in all the cherry blossoms and Chrissy Teigen cake and fancy perfume. Just saying. This story was originally published on November 13, 2017 and was updated November 15, 2017.